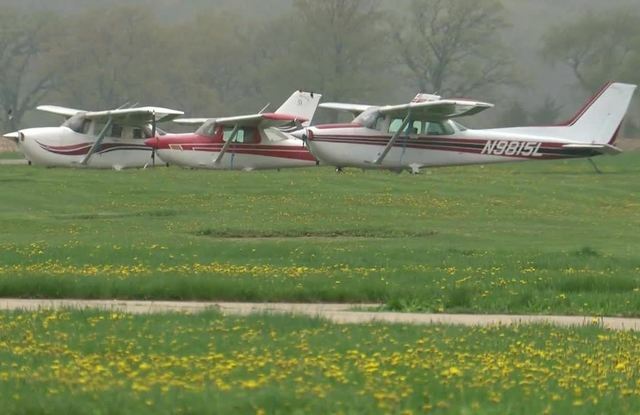 KENOSHA, Wis. (CBS 58) -- Daniel Burke remembers a man who called himself Ralph coming around his hangar at the Westosha Airport and offering to work. It turns out the man was John Nolan, who allegedly stole his tools. But the Kenosha County Sheriff’s Department didn’t find him until someone spotted a stolen car near the hanger, and deputies found much more. Nolan was found with a 1923 Ford Model T, as well as multiple other stolen cars, two trailers, two dogs, and a macaw. The Sheriff’s Department says Nolan lived in the hangar for up to nine months under the alias Sean Brosnen and had a warrant for his arrest from Secret Service. Nolan attempted to escape through a hole in the roof, but police caught him and have since returned the stolen cars to their owners. But some things are still missing. In addition to the federal warrant, Nolan now faces four felony theft counts from the Kenosha County Sheriff’s Department. They are still trying to return stolen items. The man caught with a number of stolen vehicles in a hangar of the Westosha Airport had rented the space under an alias. According to the criminal complaint in the case filed Thursday, John J. Nolan Jr., 63, formerly of Adrian, Mo., who has been charged with four felony counts of receiving stolen property, had been using the name “Sean Brosnan” for months leading up to the discovery of the stolen vehicles on May 12. Kenosha County Sheriff's Department deputies had tracked a truck stolen from the Lake Shangri-la residence of Glen Hill to hangar 14 at the Westosha Airport on Saturday, and in speaking to the caretaker of the airport, Daniel Shepard, they were told that the hangar was being rented by “Sean Brosnan,” who had an address listed in Pell Lake, according to the complaint. The name rang a bell with a Kenosha County Sheriff's detective who had been investigating multiple reports of vehicle thefts in the county in recent months. The detective had received an email from the Secret Service in August 2017 notifying the sheriff's department that Nolan had been using the name “Sean Brosnan” to rent storage units in Kenosha County, with the description of Nolan matching the description given of “Brosnan” by airport staff. After being found in the hangar with stolen vehicles from Kenosha County and Illinois Saturday, Nolan admitted while speaking to a detective that he had used the false name to rent the hangar, according to the complaint. Nolan is also believed to have been living with his dogs in a makeshift room he built in the hangar at the time of his arrest. 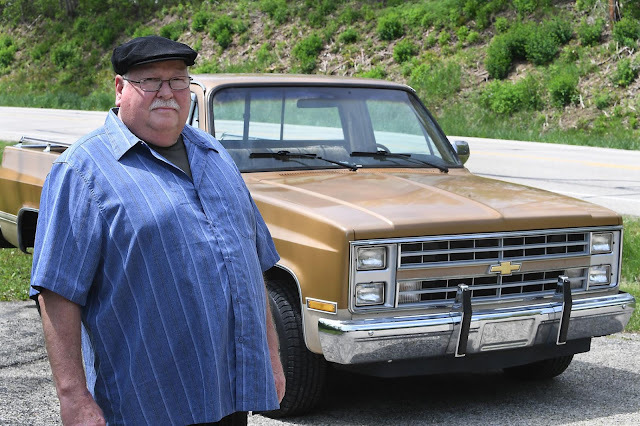 Nolan is alleged to have been in possession of at least $56,000 worth of stolen vehicles and trailers of people in Kenosha County, Spring Grove, Ill., and Richmond, Ill.
Glen Hill with his 1985 Chevrolet truck that was stolen and recovered last weekend. 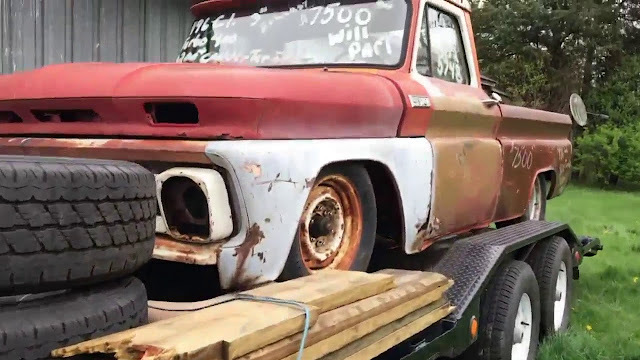 The classic Chevy truck stolen from Glen Hill’s driveway in Lake Shangri-la Saturday, a gift from his late brother-in-law, led to the discovery of a cache of stolen vehicles at a rural Kenosha County airport and the arrest of a Missouri man wanted by the Secret Service. The Kenosha County Sheriff’s Department received a report about 9:30 a.m. Saturday that the two-toned tan 1985 Chevy Silverado C10 was stolen. Hill’s son, David Hill, of Silver Lake, had posted a photo of the truck on social media, asking people to keep a lookout. Within hours, the post had been shared more than 1,000 times. A woman who saw the post, and who is a friend of the family, spotted the truck at the Westosha Airport, 32520 116th St. in Twin Lakes, and snapped photos of it and reported it. “I am so grateful for all the action people took on social media to help find it so quickly,” Glen Hill said. While investigating the report, Sgt. Mark Malecki said several other vehicles with plates that didn’t match were discovered at the hangar, where they then apprehended John James Nolan Jr., 63, formerly of Adrian, Mo., as he attempted to escape through the roof. Two dogs and a macaw were also recovered from the hangar. According to a criminal complaint filed in the case Thursday, Nolan faces one count of receiving stolen property (greater than $5,000 but less than $10,000), two counts of receiving stolen property (greater than $10,000), and one count of receiving stolen property (greater than $2,500 but less than $5,000), all of which are felonies. Malecki said an effort was being made to change the identification numbers on the stolen vehicles found at the hangar. Other vehicles recovered include: a white Haulmark trailer reported stolen out of Spring Grove, Ill.; a 1923 maroon Ford Model T, also reported stolen out of Spring Grove; a black 1940 Chevy business sedan reported stolen out of Richmond, Ill.; and two vehicles stolen in Kenosha County. One of the vehicles stolen in Richmond reportedly belonged to an elderly woman’s late son. It was reported stolen in September 2017. The woman, who does not wish to be identified, got the vehicle back on Mother’s Day. Nolan had his initial appearance in Kenosha County Circuit Court on Thursday. During his initial appearance, Commissioner David Berman set Nolan's cash bond at $10,000, reducing it from the temporary $50,000 set during a bail/bond hearing Wednesday, according to online court records. Nolan will next appear in court for a preliminary hearing on May 25. TWIN LAKES, Wis. -- Twin Lakes police caught a brazen thief in the roof of an airport hanger -- in a bizarre story where community members may have helped crack this case. It all started after a truck was reported stolen by someone in the community. The truck was found hours later parked behind an air hangar at the Westosha Airport, along with other stolen property from Wisconsin and Illinois. Twin Lakes police say this was a huge bust and the alleged thief had a federal warrant on him from the Secret Service. David Hill says his father is one of the many victims. His truck, a 1985 Chevy Silverado C10, was stolen right from his driveway. "Very happy that he's in custody,” Hill said. "It was a gift from my uncle who was in failing health, he gave it to my dad before he passed away." It was very sentimental and they noticed it was gone around 9:30 Saturday morning. "That time, me and my mom both posted on Facebook, a picture of the missing truck, a description of it, within four hours we had over 1000 shares," Hill said. Hill tells TODAY’S TMJ4 not long after a Facebook post, his father's truck was spotted by someone driving by the Westosha Airport. "Fours hours actually, it was found," he said. The classic truck was parked behind an air hangar. 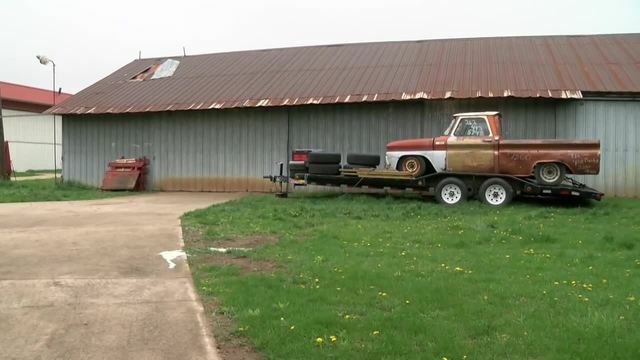 Police were called and when they entered, a Twin Lakes Lieutenant says they were able to recover other stolen goods -- like trailers and another classic car. They also found the thief hiding in the roof of the hanger and he was arrested. "I know the whole family, extended as well is very grateful for the outcome of this and we think the community for being vigilant, posting something that really didn't matter to them but it turned out that it mattered to a lot of people," Hill said.